One of the first things people notice about you is your smile. A bright, white smile makes you look younger and confident. If you’re looking for a quick and easy way to improve your smile, teeth whitening is a great, inexpensive option. 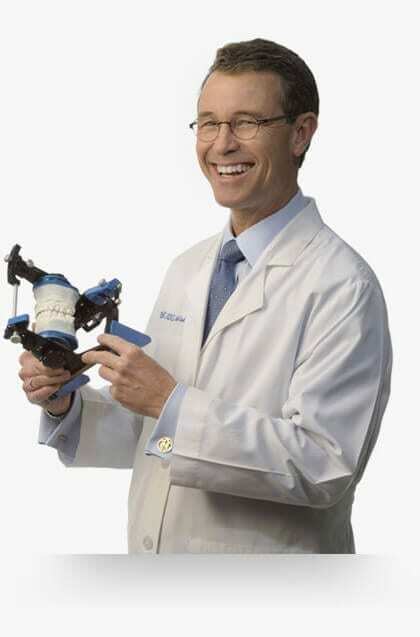 Dr. Arnold offers two teeth whitening options. The faster option is Zoom whitening, which is done in-office. You may click here to learn more about the Zoom procedure. The second option is an at-home whitening procedure, which we’ll discuss here. To ensure the procedure is as effective as possible, it’s best to do it after you’ve had a regular professional teeth cleaning. We start by taking impressions of your teeth in order to make custom bleaching trays. These trays will fit snugly to your teeth, allowing the whitening gel to completely cover your teeth. We’ll provide you with one of two types of whitening gel, one for overnight use, or one for daytime use. You’ll then wear the trays with the gel for as long as you want until your teeth are the whiteness you desire. If you have tried whitening toothpastes and have been disappointed, there is a reason. The most toothpaste can ever do is clean surface stain from your teeth. With professional teeth whitening, the gel has time to penetrate into your teeth, which is required for true whitening. The gel contains a strong peroxide which oxidizes the stain and will even lighten the natural pigment in your teeth much as peroxide can bleach your hair. The procedure is permanent. Once they’re oxidized, the stains will not return. That doesn’t mean you can’t stain them again, though. Staining beverages, such as coffee and tea, as well as some highly pigmented foods such as berries, will re-stain your teeth. Keep your trays and you can touch up the whitening once every year or so using a refill tube of the whitening gel. How Do Over-the-Counter Whitening products Compare? You can’t walk down a health and beauty aisle without seeing various types of whitening products—whether it be toothpastes, kits, or whitening strips. Whitening toothpastes can sometimes get rid of surface stains on your teeth, but they can do nothing to help the deeper stains that make your teeth looked aged. Only professional teeth whitening can do that both safely and effectively. You have to be careful with the whitening kits. Some of them will temporarily whiten your teeth a little but, because of the presence of acids, will leave the surface of your teeth rougher and actually more susceptible to staining. There are whitening strips you can buy that actually do work, but they have limitations. First, they only get a few of your front teeth, which may not be the entire width of your smile. Also, the gel in the white strips isn’t nearly as strong as what you get with professional whitening gel, so the whitening you get is fairly modest by comparison to the professionally supervised whitening we can give you. If you’re ready to get your teeth whitened, you may call our office to schedule an appointment. If you prefer, you may also click here to request an appointment online.